So I was helping Melody and Emily eat their breakfast one Saturday morning (slices of banana being on the menu) and sang them a couple of old choir songs. One of them was the Chiquita Banana Song. Emily loved the pie-E (or pie-aye) part and the “no, no, no” at the end of the song. Now every time I start up singing the song, they’ll say pie-E or “no, no, no” before I even get to the part. Too funny! There are multiple videos on YouTube of choirs and commercials doing the song differently and some with different lyrics. On the actual Chiquita brand site, they have a page devoted to this jingle. It was written in 1945 and the lyrics updated in 1999 according to the site. © 1945 Shawnee Press Inc. under license to Chiquita Brands International, Inc. 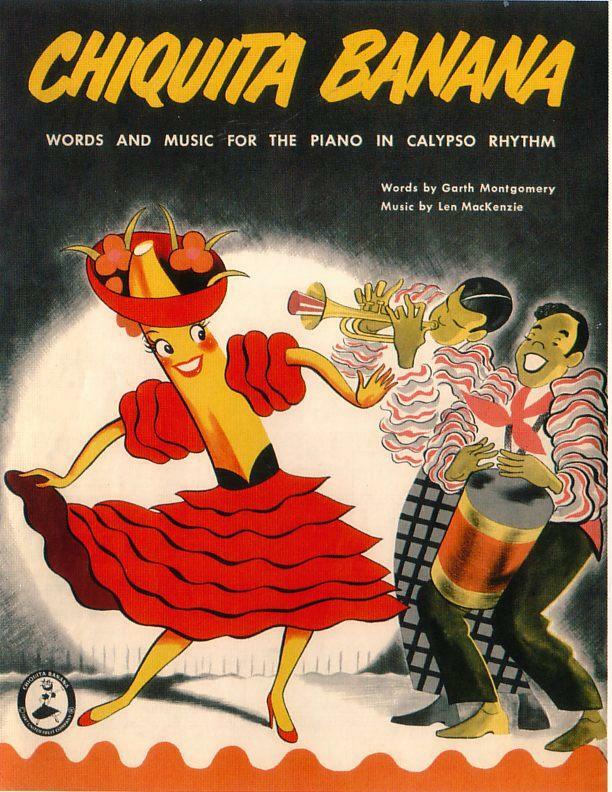 This entry was posted in Our Day and tagged 1945, Banana, Chiquita, Chiquita Banana, Chiquita Banana Song, Choir Song, Garth Montgomery, Len MacKenzie, never put bananas in the refrigerator, no no no, Patti Clayton by Joyce and Norm. Bookmark the permalink.